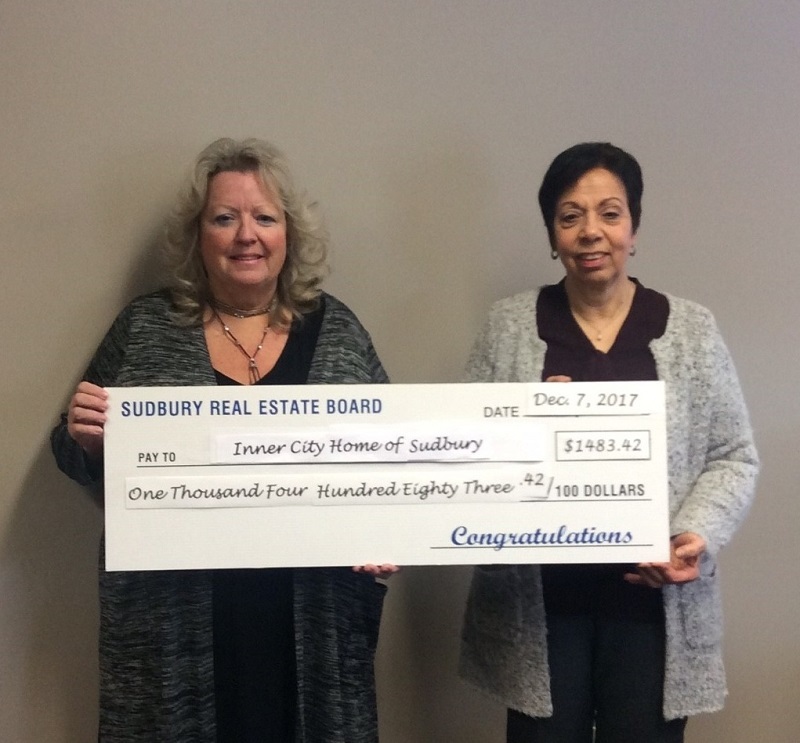 A cheque was presented to Inner City Home of Sudbury on behalf of the Members of the Sudbury Real Estate Board from the REALTORS Care® Foundation. Accepting the cheque on behalf of the organization was Mary Ali, Executive Director. Presenting the cheque was 2017 Sudbury Real Estate Board Interim President Caroline McDonald. “We are very grateful to be a recipient of a grant from the REALTORS Care® Foundation. This grant along with others that we receive go a long way to provide the Crisis Services here at Inner City Home. We rely heavily on public support and grants from our Community to continue to offer our Programs such as the Crisis Counselling; Life Management Courses; Resources/Follow Up and to provide emergency food assistance to an average of 850 people each month.